(Reuters) - Starboard Value LP, the activist hedge fund leading an investor revolt against Yahoo Inc's management team, will push for control of the company's board in talks scheduled for next week, according to people familiar with the matter. Starboard is seeking at least four board representatives in order to gain control of Yahoo's seven-member board, the people said this week. 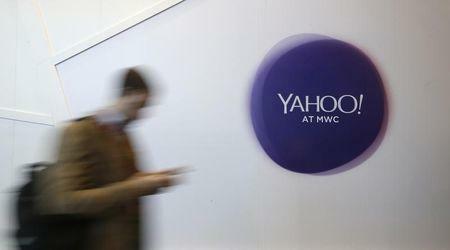 Yahoo's board has been weighing whether to offer two or more seats to Starboard, the New York Post has reported. A proxy contest would come as Yahoo presses ahead with an auction for its core Internet business. Some Yahoo investors are concerned that a proxy fight would hinder the auction effort, sowing doubts among potential buyers over the stability of Yahoo's board, the sources said. Boutique bank Evercore Partners Inc has been retained to help defend against Starboard's campaign, in addition to existing advisors Goldman Sachs Group Inc , JPMorgan Chase & Co and PJT Partners Inc , people familiar with the matter said. Evercore declined to comment. Telecommunications company Verizon Communications Inc and publisher Time Inc are among the companies expected to bid for Yahoo's core business, while some private equity firms are expected to team up for potential bids. "I want to make it very clear: between management, Marissa, myself, the rest of the management, her management team, and the committee, and the Board, we're absolutely all aligned," Yahoo CFO Ken Goldman said at a conference this week, referring to Yahoo CEO Marissa Mayer. "We're looking at this in terms of what creates the best shareholder value." To obtain seats, Starboard must win over several of Yahoo's large institutional investors plus co-founder David Filo, its largest shareholder with a 7.5 percent stake.